Congratulations on your beautiful new baby! stay strong & stay positive. 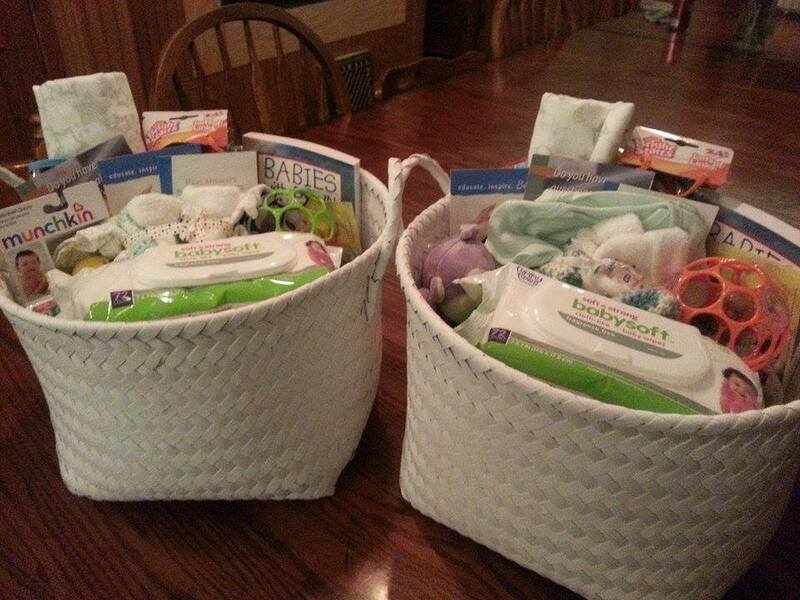 If you are a new parent with a child who has Down Syndrome in the Cedar Valley we hope you have received a basket from some of us local mommy’s 🙂 If you have not received one we want to get one to you, send me a message. The Cedar Valley has a local group called Designer Genes which is excellent. 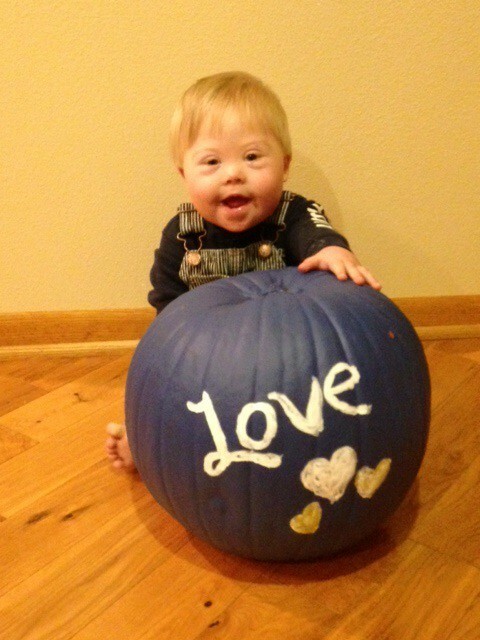 They have events such as the Buddy Walk in October to celebrate Down Syndrome Awareness Month. They have other events for our Cedar Valley Down Syndrome community through out the year too, check out their website for details. Parents get ready to celebrate! Your child will reach milestones, however your child will reach them at their own pace. Completely throw out the typical guidelines for children cause our kiddos are on their own time. I always remind myself it took Jacob 5.5 months to breath on his own (without oxygen), he is on his own schedule, he will get there when he is ready. When Jacob hits a milestone we celebrate! As he grows we do therapy, we practice with him, encourage & praise him. Even the simple little things like waving or saying mama or dada just melt our hearts. Naturally our instinct is to protect our children from everything and take it all on ourselves. I have learned I can’t do it all on my own, this journey can be overwhelming & exhausting at times. Jacob’s doctors, nurses, therapists, daycare, family members, friends, and meeting other families in the Down Syndrome community is our part of our team. Connecting and building relationships with these people have been very positive for Jacob’s success. When Jacob was born I thought everything that I had dreamed of for him over. I thought he can’t go to the daycare & school that we had picked for our children. I thought there are not resources here in the Cedar Valley for Jacob, we were going to have to move. Boy was I wrong!!! There are resources here, in fact, great resources. It took me a little while to get my bearings straight on everything but I know now that the Cedar Valley does offer a lot for our children. When Jacob was 13 months he started at daycare, the same one our other children go to. Jacob is the first child with DS to go through their program. I have been pleasantly surprised at how well daycare is going for Jacob. Parents, so much IS possible in today’s world, talk to the people on your support team & plan together. Try to find a way that can help you communicate to the people you are building relationships with. For me I communicate a lot via email. For example after being in and out of hospitals with Jacob for the last 16 months, working with 2 different hospitals with different departments I now try to cut to the chase for answers. I have started using My Chart to communicate back and forth with the doctors at the University and at Covenant. I personally think responses are quicker and more effective, plus I can keep all correspondence in one place. Yes Jacob has to be seen by the doctor so they know what his status is. My Chart has been very helpful to me in the communication process. Both the University & Covenant have MyChart. We live 1.5 hours away from the University, my husband and I work full time with 2 other children our time is valuable. We can’t be on the phone all the time or running to the doctor for every little thing. For me direct form of communication via email or My Chart is working. Granted it took me 16 months to get to this point because I had to understand the system & make relationships with the people providing care to my child. I also communicate with Jacob’s therapists via email to setup appointments. If I have easy specific questions that they can answer via email I try that approach. You are your child’s voice. Do what you need to do for what is best for your child & family. Question things, try to understand and advocate for your child. Some processes that you will go through in this journey will be overwhelming, not clear and not consistent. Stay on top of things, your advocating will all be worth it for you family and your child. I always have to remind myself to stay professional while advocating or I can experience road blocks. Its a great tool and a source of education. Try to put everything in perspective before being quick to judge. Soak in information but filter it out too. I have had many sleepless nights over google. I always have to remind myself be careful about what I read, every child is different which makes what you read not always necessarily true for your situation. It is totally ok to ask your doctor for their expertise. Pick their brain, do your own research, question everything, & try to understand. I think a parents intuition & having faith plays a HUGE part in the puzzle too!!! Things will come together it just takes a little time & patience’s. When I experience a whole lot of learning & emotional overload, I have to stop and breathe. When I am so tired, stressed and can’t even keep a darn thing straight I have to remind myself to STOP & BREATHE! This smile is my strength!! !